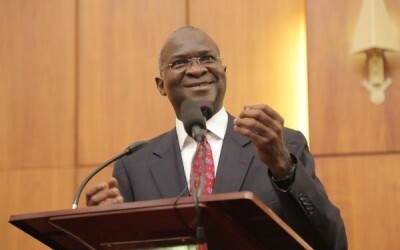 Former governor of Lagos State and Minister for Works Power and Housing Babtunde Fashola, SAN, has revealed that but for his passion for litigation as a young lawyer, unemployment would have made him to end up as a post master. The minister explained that, at the time he graduated, working with NIPOST was a dream job. The Minister further said that his father presented him with the opportunity to work with the Nigerian Postal Service, NIPOST, after graduating from the University of Benin, UNIBEN, and he was unemployed. He explained that while he realised it was a fantastic opportunity, he was extremely passionate about litigation and thus turned down the offer, and opted to pursue a career as a lawyer. While acknowledging the failing education system in country, he lauded the YBLN’s initiative in training young entrepreneurs for positive change in the country and encouraged the young entrepreneurs to pursue their careers with a view to realizing their potentials. He also spoke of the need for youths to develop a sense of identity, to mark themselves out from previous rigorous thinking, distinctive engagement and an insistence on doing the right thing. He cited an example of a movie,”The men who built America”, and urged participants to emulate the zealous actions of those characters in their aim to change America.